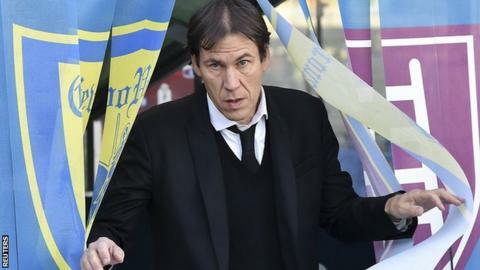 Roma have sacked manager Rudi Garcia after a poor run of results in Serie A. Former Lille manager Garcia had seen his side win just once since the beginning of November, a 2-0 home victory against struggling Genoa. The Italians have been drawn against Real Madrid in the last 16 of the Champions League having qualified with the lowest number of points. Alberto de Rossi, who is the father of vice-captain Daniele, will take Wednesday's training session.